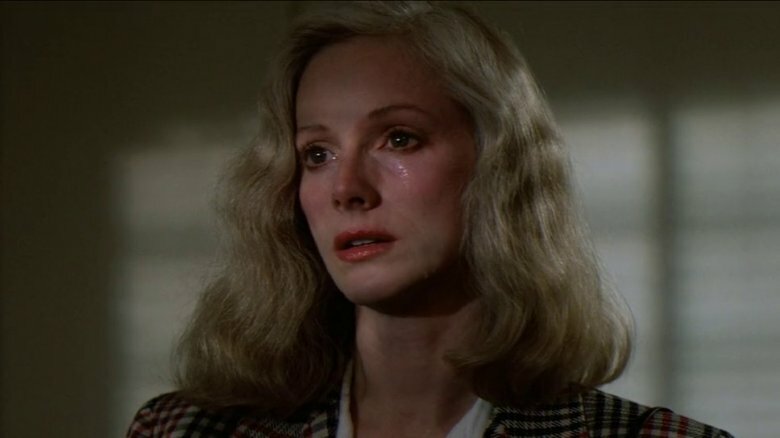 Sondra Locke died on Nov. 3, 2018, of cardiac arrest as a result of both breast and bone cancer. She was 74 years old. As news of Locke's passing broke, her relationship with Hollywood legend Clint Eastwood took center stage, leaving many outraged at her overlooked accomplishments. 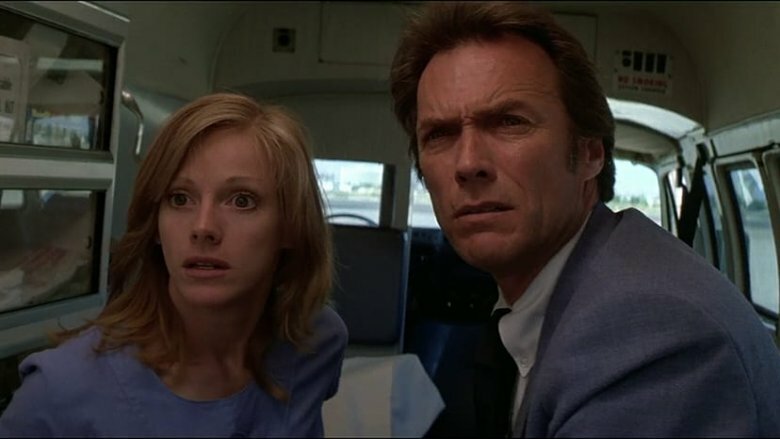 An Oscar-nominated actress, an indie director before anybody knew what an indie director was, and a one-woman army fighting against a studio system and their favorite star, Sondra Locke's legacy is more than being Clint Eastwood's one-time muse. "I have certainly lived an unconventional life. For lack of a better word, magic has been a big part of it," Locke once said in an interview. "When I was a child, movies seemed to provide that sense of magic. As time went on, I began to see the magic in everyday life." Once a small town girl from Shelbyville, Tennessee with big dreams, here's the untold truth of Sondra Locke. Sondra Locke burst onto the Hollywood scene in her first feature film by earning both an Academy Award and Golden Globe nomination for her portrayal as teenager Mick Kelly opposite Alan Arkin in 1968's The Heart Is a Lonely Hunter (she lost both to Ruth Gordon in Rosemary's Baby). Based on Carson McCullers' acclaimed novel of the same name, The Heart Is a Lonely Hunter follows a deaf-mute (Arkin) who rents a room in a small Georgia town to be close his institutionalized — and fellow deaf — mentally impaired friend. Once there, he begins to change the lives of all those around him, including the young girl (Locke) who lives in his boarding house. "I dreamed of being an actress in films, and then one day WB held a nationwide talent search for an unknown actress to star in The Heart Is A Lonely Hunter, and I was swept away from a small town in Tennessee to Hollywood and an Oscar nomination," Locke said in an exclusive interview. "I had never been on a movie set," she told Variety (per Daily Mail) in 1978, "but it was like coming home." 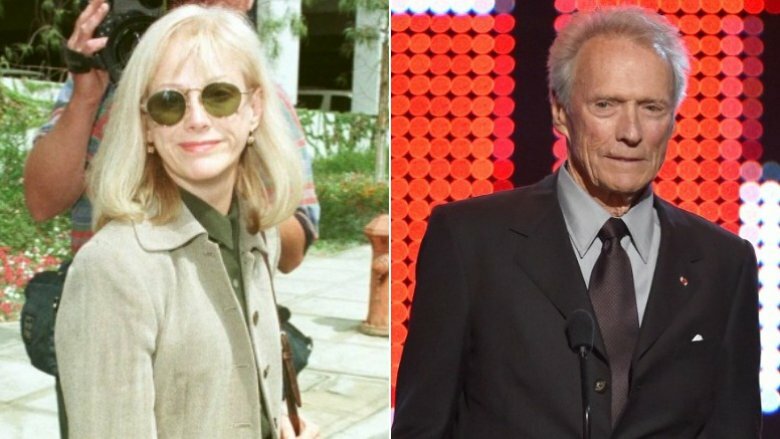 Sondra Locke worked with Clint Eastwood for the first time in 1975 during the making of the Civil War revenge thriller The Outlaw Josey Wales (after reportedly meeting him during casting for 1973's Breezy). Shortly afterward Locke and Eastwood, who was married to married to Maggie Johnson at the time, began an affair that would last until 1989. "He pulled me into his arms and kissed me gently, delicately. Then lifting me up, like some knight bearing his maiden, he carried me across the room to the bed. Physically I thought he was the most gorgeous man I had ever seen — his heroic face, his tall, lithe, muscular body," Locke wrote in her book, The Good, the Bad and the Very Ugly (via the Deseret News). "And in spite of his size and power, he was a gentle, affectionate, thoughtful and yet intensely ardent lover. … We made love that night, not once, but several times. It was truly magic." The couple would go on to make five more films together with Warner Bros., The Gauntlet (1977), Every Which Way But Loose (1978), Bronco Billy (1980), Any Which Way You Can (1980) and Sudden Impact (1983), until creative and personal differences drove them apart. Sondra Locke didn't appear in Clint Eastwood's 1984 thriller Tightrope, but she had a hand in casting the lead thanks from an assist from Susan Sarandon (above right). The Thelma & Louise star was offered the role of Beryl Thibodeaux but turned it down. 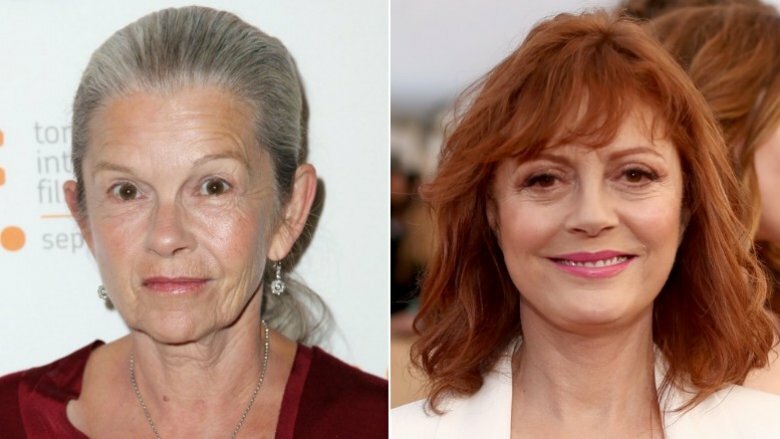 When Sarandon questioned the graphic violence against women in the script, Eastwood allegedly replied, "I don't think it's my job to worry about that. I'm an actor." Fun fact: Eastwood's The Malpaso Company produced the film. Who would turn down the chance to be in a Clint Eastwood movie? "Clint was hardly considered a legend at that point. It was still during the years he was taken for granted as a good looking movie star, and a commercially successful producer, but no more," Locke told Wand'rin' Star. However, Locke thinks Sarandon would have turned down the role even if he was the Clint Eastwood we know today. "I think she has made good choices in her career and believe she is a person of integrity," Locke continued. The film didn't have to look long for a co-star as Locke suggested French actress Geneviève Bujold (above left) — and the rest is history. "I have always loved her work," Locke explained. 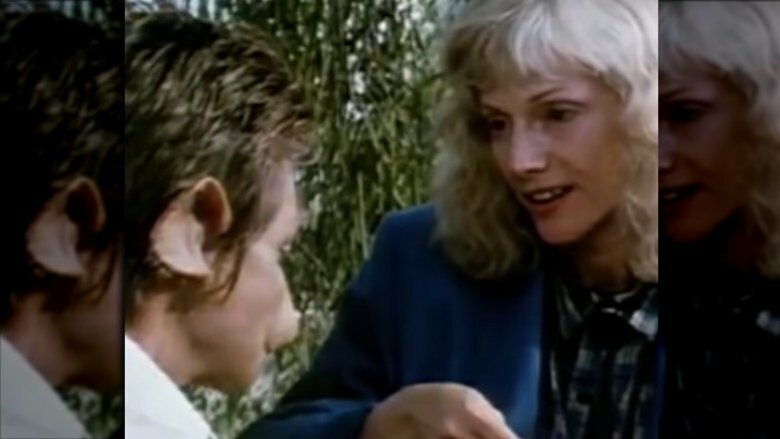 When Sondra Locke made her directorial debut with 1986's Ratboy (shown above), her relationship with Clint Eastwood started to unravel. "I was beginning to develop, maybe a little bit too much, and it changed the dynamics," Locke told The LA Times in a 1996 interview. "He was Daddy, you know, and I guess that was no longer the case. When you're a director, the job itself forces you to take charge." Reflecting on her experience in an interview with Coming Soon, Locke admitted that Eastwood "really did not want me to direct." She continued, "He had been the director, and I was the actor. You know, he was the one in charge." However, Eastwood's Malpaso Company produced Ratboy through his deal with Warner Bros. despite objections from Locke. "I said to him, 'You know, it really would not be in my best interest, I think if you come on.'" He did. "So, not only did he put his name on it but then also, he felt that he was in a position to tell me what to do all the time," she continued. Locke claimed Ratboy was a studio film because the indie film scene that exploded in the 90s hadn't happened yet. "So, I took it to Warners and they agreed to make it! And partly because Clint said, 'Oh, yeah. You should make it,'" she told Coming Soon. "But then of course, everything went crazy." And crazy it did. Sondra Locke's sophomore directorial effort, 1990's Impulse, was a psychological cop thriller starring Theresa Russell that also happened to be Evan Rachel Wood's first movie role. Clint Eastwood was not involved, and according to Locke, "that's really when it started to unravel." Per Locke's autobiography (via Wand'rin' Star), she alleged Eastwood attempted to sabotage the film from the start. She claims Eastwood tried to make her miss production meetings, and whenever producer and longtime Eastwood collaborator Al Ruddy would call to discuss the project, Eastwood hopped on the piano, "banging out Scott Joplin tunes as loudly as he could." She cast George Dzundza and Jeff Fahey, and while they were shooting, Eastwood cast them to be in his next film, White Hunter Black Heart. "He had never before hired them, nor had he even heard of them to my knowledge," Locke told Wand'rin' Star in an exclusive interview. She also found it odd considering Eastwood allegedly badmouthed the actors when she initially cast them. "I don't know why you want to cast him as a cop. He's fat!" he allegedly said of Dzundza, and about Fahey: "Why would you cast that 'pretty boy.'" Tensions rose to a boiling point when, per the The LA Times, "Eastwood changed the locks of their Bel-Air home and called [a moving company] to pack up and store her clothes while she was away, directing." 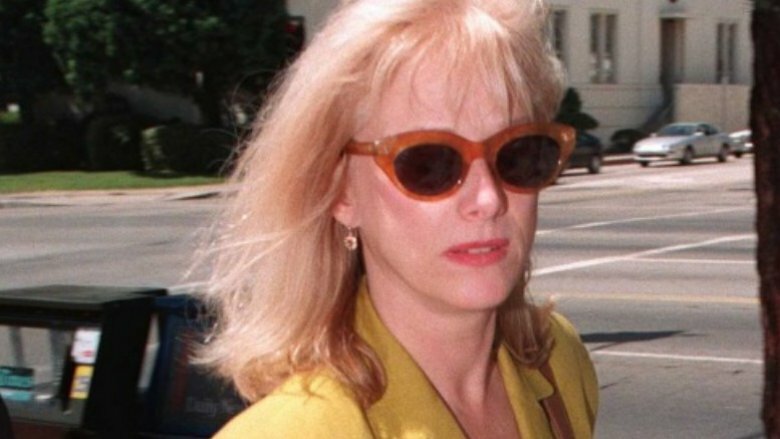 Sondra Locke filed a lawsuit to return to the home, but according to the Los Angeles Times, she later settled for "the home Eastwood had bought her husband, about $500,000 and a three-year, $1.5-million development deal at Warner Bros." Locke married sculptor Gordon Anderson in 1967, of which Eastwood was reportedly aware, according to court documents (via People). However, Anderson was considered more of a "surrogate brother" to Locke, rather than a romantic companion. When the Warners deal turned out to be an alleged ruse, Locke sued the studio. She also "sued [Eastwood] for fraud in 1994" after she "discovered [his] secret side deal with the studio," in which he allegedly bankrolled the whole thing, while blocking her creative efforts. The suit against the Warner Bros. was dismissed, but Locke sued Eastwood again for attempting to crush her career. "Hollywood closed ranks. People wouldn't testify for me," Locke told The LA Times. "I had no idea how it would turn out." Eastwood eventually settled with Locke for an undisclosed amount in 1996. "[Studio executives] were more concerned with keeping Eastwood happy than helping her," jury forewoman Brenda Williams told E! News. After the settlement, Locke explained why she persevered when many thought she should quit. "Since everything in my life collapsed in '89, I was just determined that I wouldn't cave in," she told the Los Angeles Times. "I wouldn't just go away or become a basket case. I knew the value of me as a person." 1997's Trading Favors was the third and final feature film Sondra Locke directed (She also helmed the the 1995 TV movie Death in Small Doses). According to her interview with Wand'rin' Star, she hoped to transition from acting to directing as she "felt very at home" behind the camera, but unfortunately, she "was emotionally devastated from the years of fighting my legal battles" and the studio system just wasn't for her. "Also, I realized that all scripts which interested me were not the films the studios wanted to make," she explained. "My tastes were more geared toward the smaller, independent film, but I knew nothing about that arena as far as how to get a film made. As I said, I had "grown up" in the studio world. All my contacts were in the studio world." Rosanna Arquette, who starred in the film as an escaped convict, paid tribute Locke after her death. "I worked with Sondra Locke as a director in 1996. She was thoughtful and kind ..had laser vision she was great with actors. It is horrible to be black balled (sic)," she tweeted. 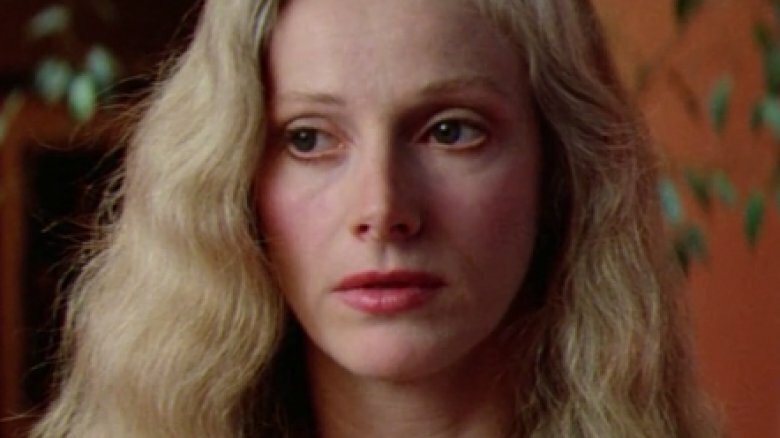 Despite appearing in only three movies between 2000 (The Clean and Narrow and The Prophet's Game) and 2017 (Ray Meets Helen), Sondra Locke remained an avid film buff. And who doesn't like Ryan Gosling? "Today I really admire Ryan Gosling. He is incredibly versatile," Locke told Wand'rin' Star when asked which contemporary actor she admires. "Dustin Hoffman remains one of my favorites — from The Graduate to Marathon Man to Midnight Cowboy, he remains brilliant," she added. But when it came to the film adaptation of a beloved literary classic, Locke wasn't so impressed. She and her husband loved J.R.R. 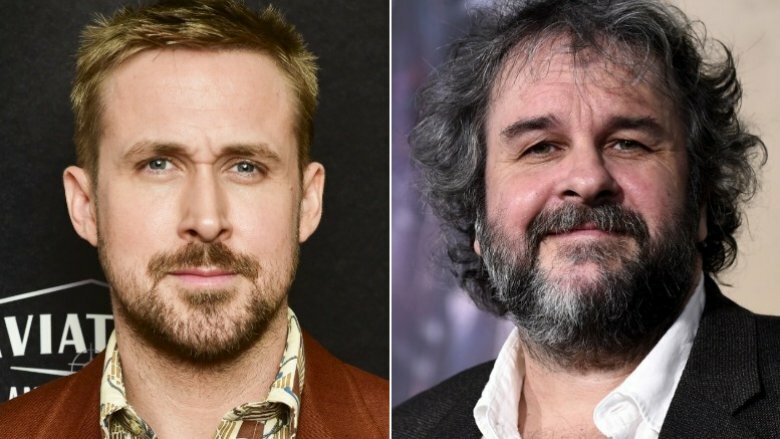 Tolkien so much they called each other "Hobbit," so the films directed by Peter Jackson would never live up to the hype. "I loved the Tolkien books when I first read them," she explained. "The images that dominated my mind were too powerful ever to have been captured in a movie, and so I was disappointed with the films even though I think Peter Jackson is a very good director. Heavenly Creatures is one of my favorite films." 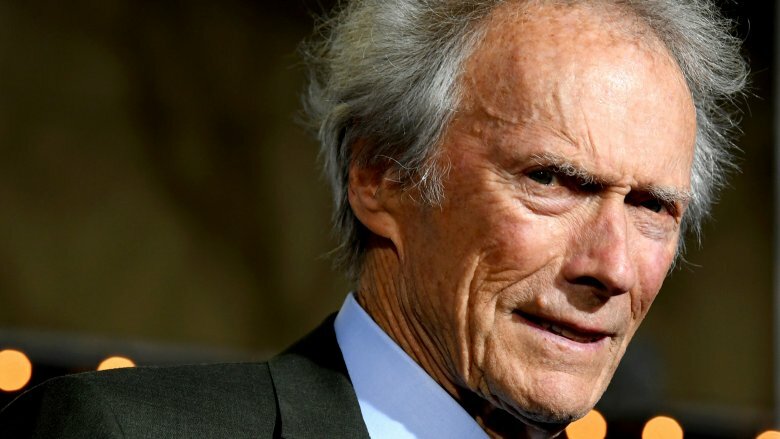 Clint Eastwood's unorthodox directing style is the stuff of Hollywood legend (he reportedly only shoots one or two takes and whispers "Alright, go ahead," instead of yelling "Action!"). Locke was not a fan of Eastwood's workmanlike efficiency. "Clint never really gave direction to the actors, certainly not to me. I was very much on my own. I always wondered how much better my performances might have been, had I had a director who really 'worked' with me," she told Wand'rin' Star of Eastwood's disdain for rehearsals. "Certainly Clint's method of printing the first or second take didn't give me time to 'find' all the texture of the moment. Yes, very rushed." Locke went on to say that Eastwood doesn't "direct a film as he shoots a script." She revealed that Eastwood buys a script as is, then simply shoots it. "I would say it is not so much directing as 'covering' the script. By that I mean he will 'cover' a scene with all shots required to know what is going on, but doesn't express an opinion or guide the audiences' emotions or eye," she explained.